Olaf (Homepage) wrote: Great found and nice framed, like how you focused! Wanderungen (Homepage) wrote: very great picture! Awesome! Arjan - PlasticDaisy (Homepage) wrote: Great!! The colors are wonderful and I like the semi-transparency. It's arched so beautifully. CrashRyan (Homepage) wrote: a spectacular shot!! 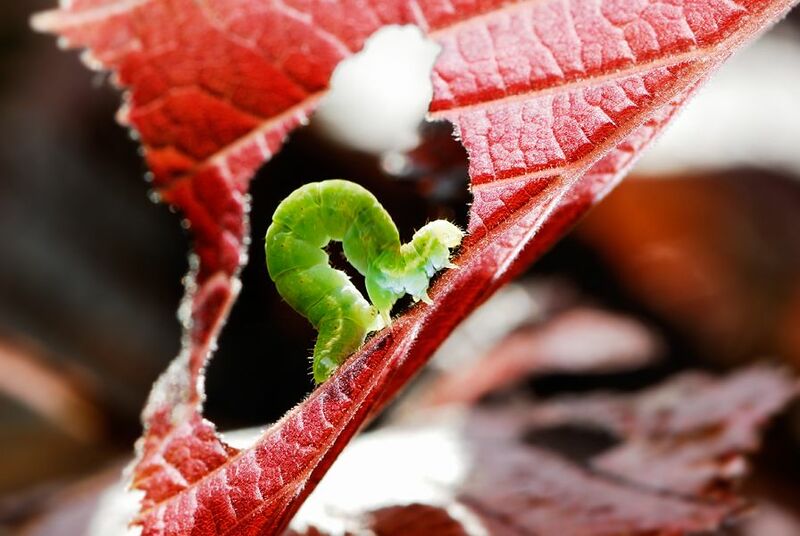 that caterpillar would be quite thrilled to see himself like this ...! fabrizio (Homepage) wrote: catturato nel pieno dell'azione!! molto bella anche questa decisamente lineare ed integrata nel soffice fondo, mi piace soprattutto il contrasto naturale del colore!! buntagphoto (Homepage) wrote: They are hungry little buggers!